A star-studded line-up of performers will join host Jon Stewart during COMEDY CENTRAL’s biennial autism benefit, Night of Too Many Stars: America Comes Together for Autism Programs. This year’s charity special features taped segments from the Beacon Theatre in New York City, including a helium debate between Chris Matthews and Bill O'Reilly, surprise appearances from Sting, Louis CK and Ben Stiller and the inspiring and moving duet of “Firework” between Katy Perry and 11-year old Jodi DiPiazza. 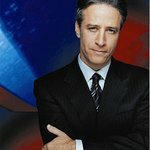 The show will also include additional live wrap-arounds hosted by Stewart from “The Daily Show” studio, including a celebrity phone bank, which allows viewers to call in during the show to donate while speaking and, for the first time, video chatting with additional comedic heavyweights. “Night of Too Many Stars: America Comes Together for Autism Programs” premieres on COMEDY CENTRAL on Sunday, October 21 at 8:00 p.m. ET/PT. During the LIVE segments at “The Daily Show” studio, viewers will be treated to an all-star line-up of talent participating and manning the phone bank including Fred Armisen, Ed Asner, Samantha Bee, Matthew Broderick, Andy Cohen, Dane Cook, Anderson Cooper, Bill Hader, Tom Hanks, Jason Jones, Jimmy Kimmel, Hoda Kotb, Jack McBrayer, Seth Meyers, Julianne Moore, John Oliver, Al Pacino, Bob Saget, Jerry Seinfeld, Lara Spencer, Jason Sudeikis, Kenan Thompson, Meredith Vieira, Allison Williams and Wendy Williams. As part of this year’s LIVE portion, viewers who donate $300 will have the chance to video chat with phone bank celebrities including Jimmy Kimmel, Seth Meyers, Jason Sudeikis and Bob Saget. No additional hardware or software is necessary to connect; as users only need a computer with a webcam. In addition, viewers who make a donation during the broadcast will have a chance to play an online game such as “Draw Something” with a phone bank celebrity. Donor participation will determine the outcome of special stunts featuring Conan O'Brien and Nick Offerman. Last night, O’Brien pledged on his program to do a full episode of “Conan” with a deep spray tan if his fans raised $100,000 through online or text donations. His donation page is at teamcoco.com/toomanystars. Today, Offerman launched a striptease video that will only continue if viewers donate money. His donation page is at comedycentral.com/strip. A digital auction, sponsored by Geico, will include Oprah Winfrey creating a personalized ringtone featuring her shouting out the individual names for each of the top three bidders, tickets to “Book of Mormon,” a signed “South Park” script, Monster Headphones signed by Tracy Morgan and JB Smoove and many more items. The pre-taped New York City segments included Kevin Bacon, Hannibal Buress, Bill Burr, Louis C.K., Stephen Colbert, Paula Deen, Jenni “JWOWW” Farley, Tina Fey, Sammi “Sweatheart” Giancola, Tommy Hilfiger, Carly Rae Jepsen, Harvey Keitel, John King, Chris Matthews, Tom Morello, Bill O’Reilly, Katy Perry, Amy Poehler, Seth Rogen, Steve Schirripa, Liev Schreiber, JB Smoove, Ben Stiller and Sting. Some highlights are already available at www.cc.com/toomanystars and youtube.com/comedycentral. “Night of Too Many Stars” will also be streaming live via Ustream Broadcast Network, the leader in live and interactive online video streaming. The special will also be simulcast on comedycentral.com. Geico is the on-air and digital sponsor for “Night of Too Many Stars: America Comes Together for Autism Programs.” Event sponsors also include White Castle, Tommy Hilfiger and Supersmile. Since 2006, “Night of Too Many Stars” has raised over $14 million. In 2010, “Night of Too Many Stars,” through its partner organization New York Collaborates for Autism, gave more than $3.2 million in grants to 41 programs in 13 states. Autism is on the rise and now affects 1 in 88 children and 1 in 54 boys. “Night of Too Many Stars” will benefit a variety of autism schools, services and programs across the country, in support of the overabundance of individuals with autism and their families who so desperately need quality services.